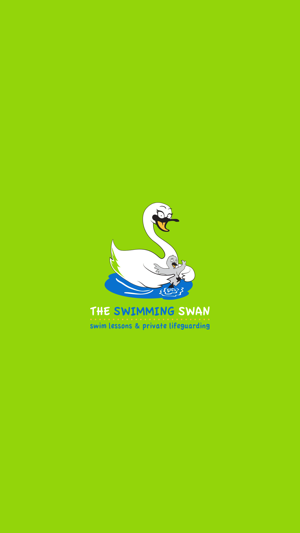 The Swimming Swan LLC. is a Private Swimming School and Lifeguard Management Company. We offer a variety of Swimming programs for people of all ages and abilities: Group lessons include: Learn-to-swim for parent and child, toddler, child, adult and seniors. 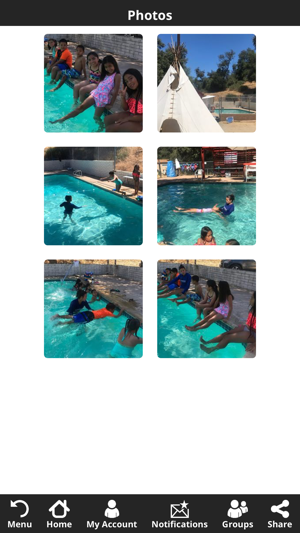 Private swim coaching and Independent Study Physical Education Programs available. 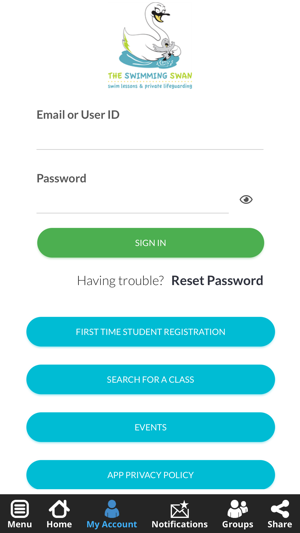 The Swimming Swan’s app allows you to fully register and schedule your swim lessons, communicate with your swim coach, monitor and review the new skills and achievements earned the kids are learning, shop for items, and more! - Quick and easy access to register for all of our fun activities including camp and birthday parties. - Need to know if classes are cancelled due to holidays? 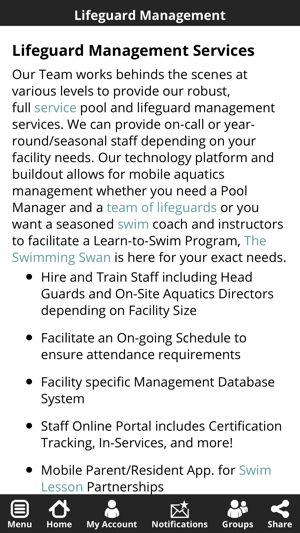 The Swimming Swan app will be the first to let you know. 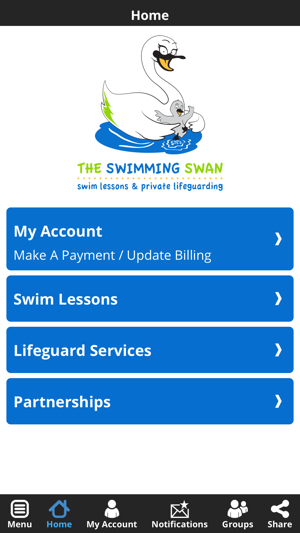 The Swimming Swan app is an easy-to-use, on-the-go way to access everything The Swimming Swan to offer right from your smartphone.